I know, I know.... Good morning Croatia! It is almost March but I wanted to tell you about my favorites. There aren't many but I love them all. For the first time there is a perfume among my favorites. My adored Noa- Cacharel. I got it once many, many years ago and everything else is history. 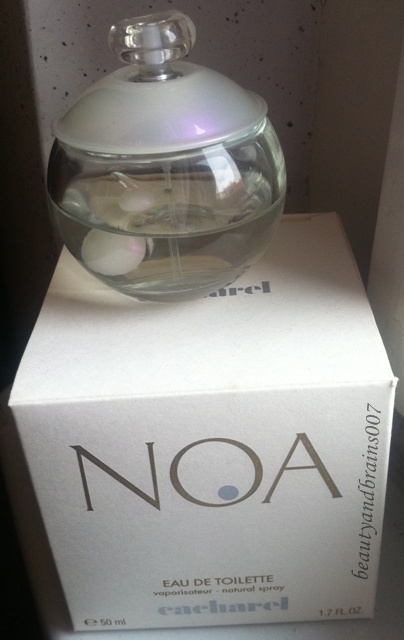 No matter how many perfumes I have in my collection (and believe me, there are many), I always have Noa for the days that I don't want anything else but perfection. It is soft, feminine scent and I don't think that it would offend anyone. For more information here is his fragrantica link. And just to be clear, there are many versions of Noa (summer, perle...) but to me, none of them can compare to the original- Noa. 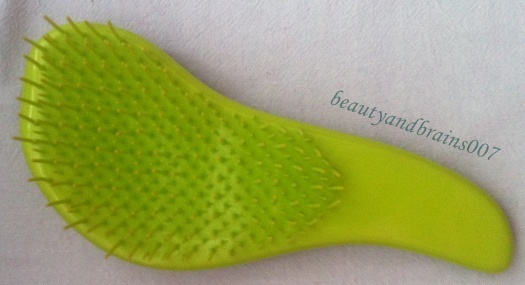 Next is my Macadamia detangling brush. 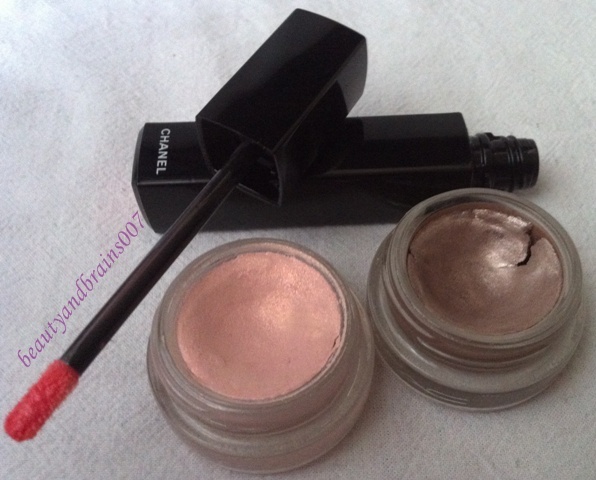 I LOVE this brush and can't stop talking about it, both on my blog and other people's blogs! I am sorry but it changed my life when I wash my hair. Before it, there was no way for me to be finished in less than 30 minutes when I was washing my hair. Now, there isn't a conditioner ( no matter how bad it is) that would spoil my opinion about this little miracle. I LOVE IT!!! Here is the link for my Macadamia products review. 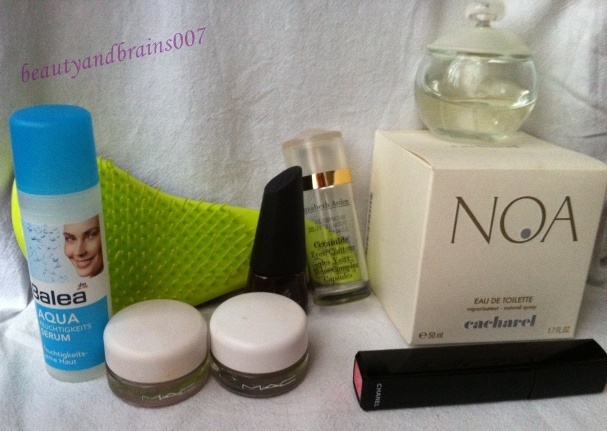 For my face skin care, I've been loving these two products. 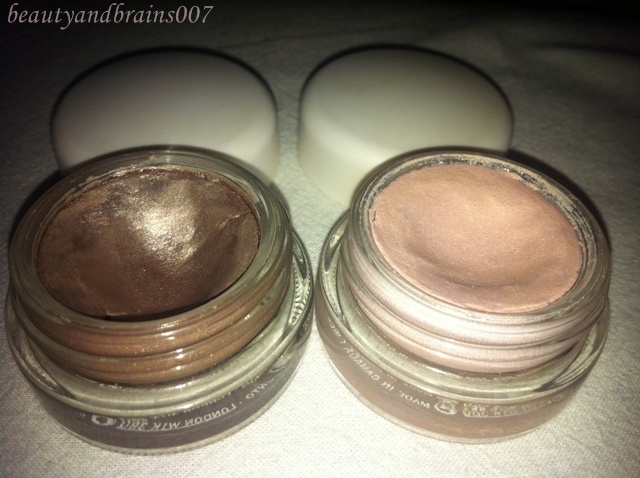 Elizabeth Arden Ceramide Eyes, Time Complex Capsules that I have been raving about in a separate post and my finished items (love them! 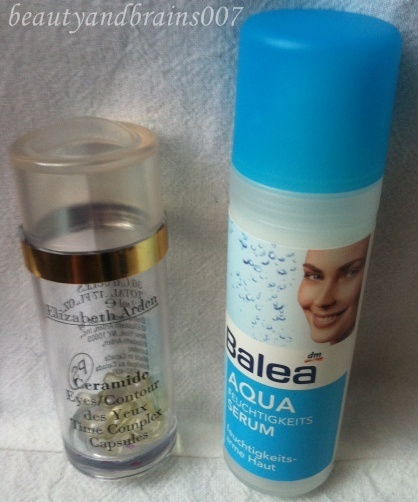 ), and Balea Aqua Serum. I am still not sure if I am going to review it (although it is a great product) because I found out about it from other bloggers. It so loved in the blogosphere that I am not sure that it needs my review? 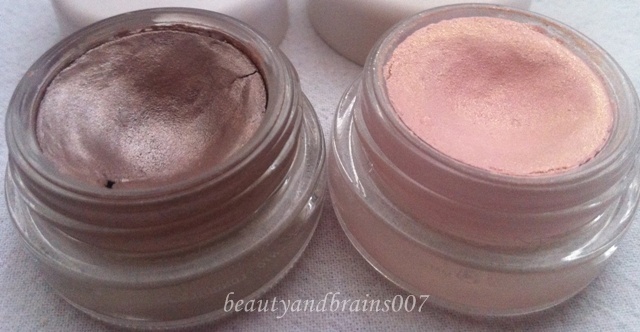 I loved and used three products in the makeup department this January. 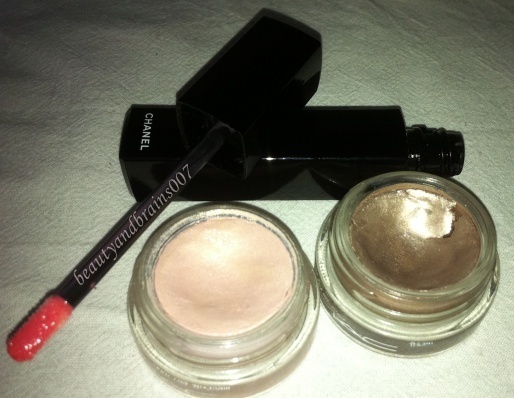 Two MAC's paint pots from LE Glitter and Ice collection (released last year around Christmas), and one Chanel Rouge Allure lip gloss in the shade #56- Imaginaire. The shades of Mac's paint pots are Morning Frost and Lets's Skate. Morning Frost looks kind of darker in the pictures but it is a champagne colour. Very wearable if you are a natural look freak. It has a soft texture but it could be a bit hard to work with. I would go with only one layer because it gets uneven and splotchy in more layers. That is why we had a love and hate relationship in the beginning but now we live in peace. I apply it with my fingers but a brush will do if it is synthetic. The other shade is Let's Skate. My photos don't do it justice. 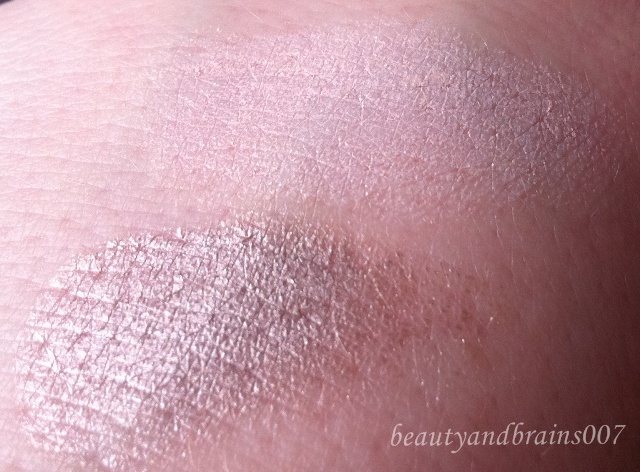 It is a beautiful pale pink shade with small golden glitter particles in it. It is soft and more easy to work with than Morning Frost (even though it contains glitter).It can be applied in more layers and it stays on your eyes the whole day. Your face will not be full of glitter, there is a chance that some will be around your eyes during the day, but in a good way. 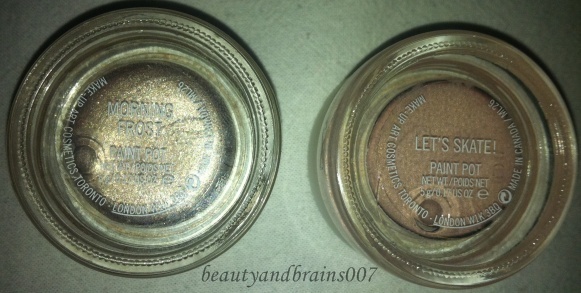 Although they were a part of a LE collection you can still find them on some internet shops like RockTheCatwalk. 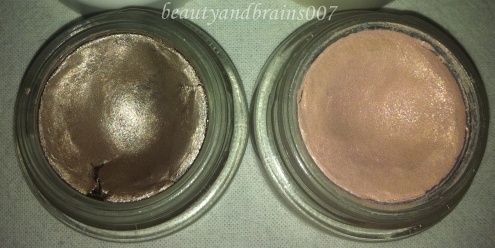 On its own, Let's Skate can build up in your crease but with a base underneath (like TF Shadow Insurance) it will stay in place the whole day as well as if you use it as a base for powder eyeshadows. 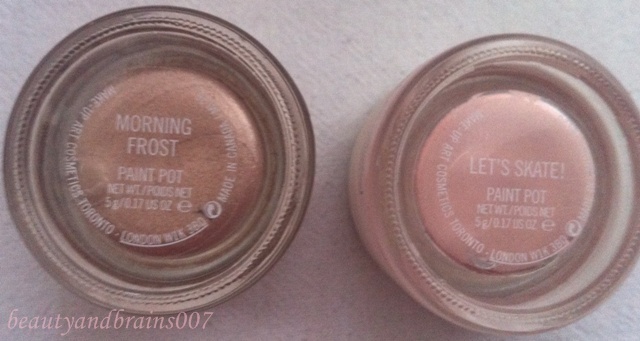 If you have these or any other paint pots or cream shadows in pots, I suggest to keep them well closed and with lids on the bottom. They will stay fresh longer that way! 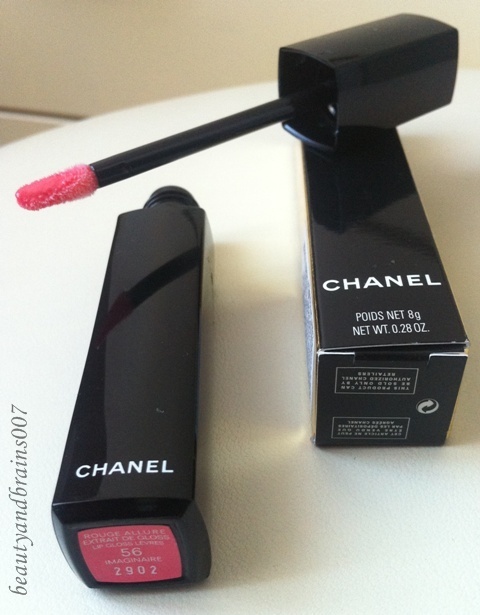 I can't forget to mention my Rouge Allure Gloss from Chanel (#56, Imaginaire). I wore it almost every day since I got it. 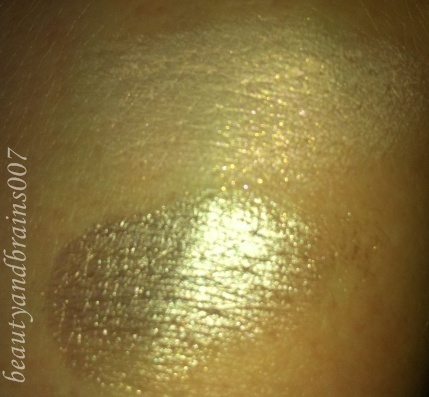 Amazing texture, full but not too sticky, nice neutral colour, glossy, soft... Loved it! Did a review on it here. 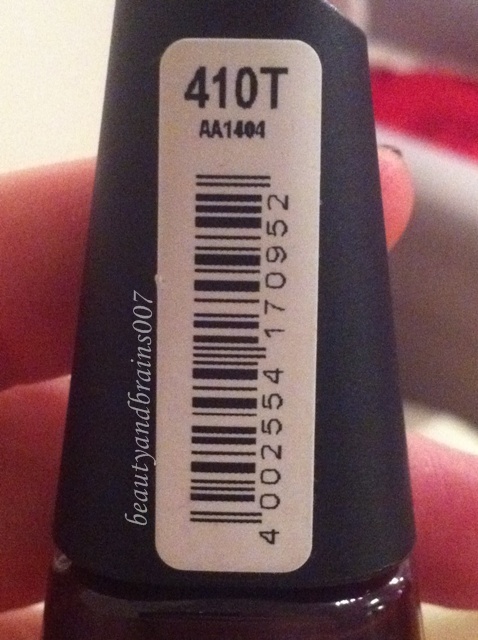 And the last favorite is a nail polish. 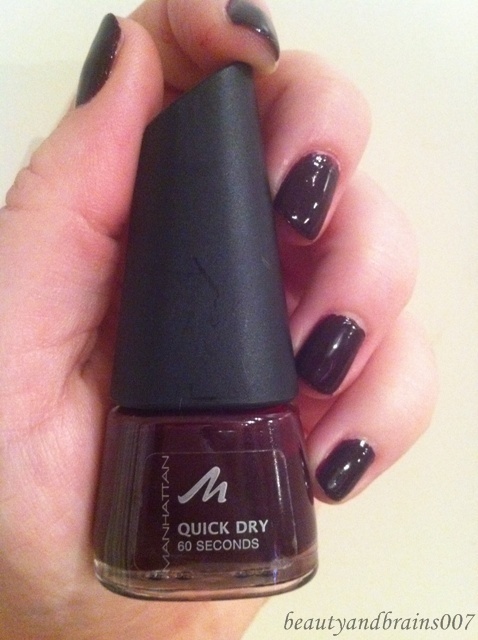 Manhattan Quick dry- 60 seconds nail polish in the shade 410T. I bought it ages ago. That is a funny story. I bought it one summer when I needed to repair my shoe. It got scraped and I wanted to wear it some more (btw, I still have those shoes and you can't tell that I used a nail polish on them). After that I've put it in a box with my other nail polishes and forgot about it. 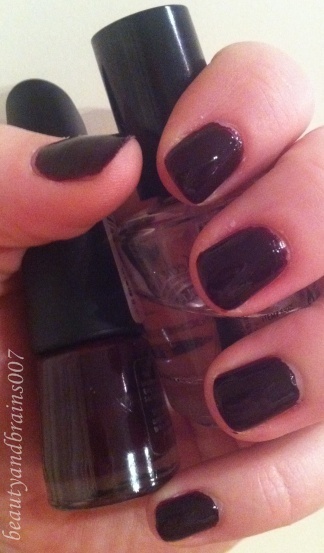 This winter I have been feeling dark colours, tried it and fell in love with it. It was on my nails all the time. It lasts for about two days (it is a dark polish so every chip will be visible) but if you put another layer on your nail, it will be fine and last for another day or two. I've gotten many compliments for it (mostly from other women). It is a dark burgundy brown shade. A perfect winter colour in my opinion. Although it is called 60 seconds I don't think that it dries fast but mine is really old so that can be the reason. With seche vite on top, the drying problem is solved! Are some of them your favorites? Or quite the opposite?